We just returned from our annual summer visit to family in California. 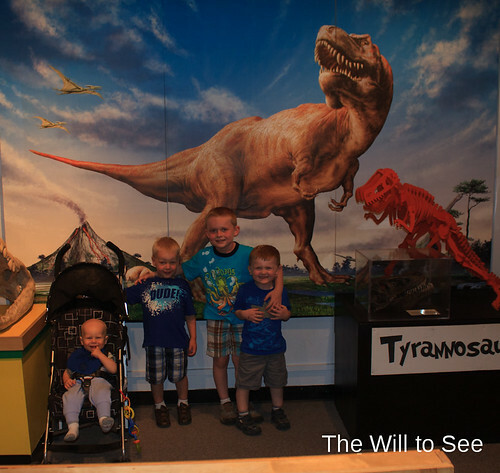 One of our outings was a trip to the Sacramento Children’s Museum, which had a dinosaur and fossil exhibit. Although most stuff was above the boys heads, they had fun looking at the big dinosaur pictures and fossils. As always it was fun to have the cousins together and we actually got them all to look and smile at the camera, a small miracle.